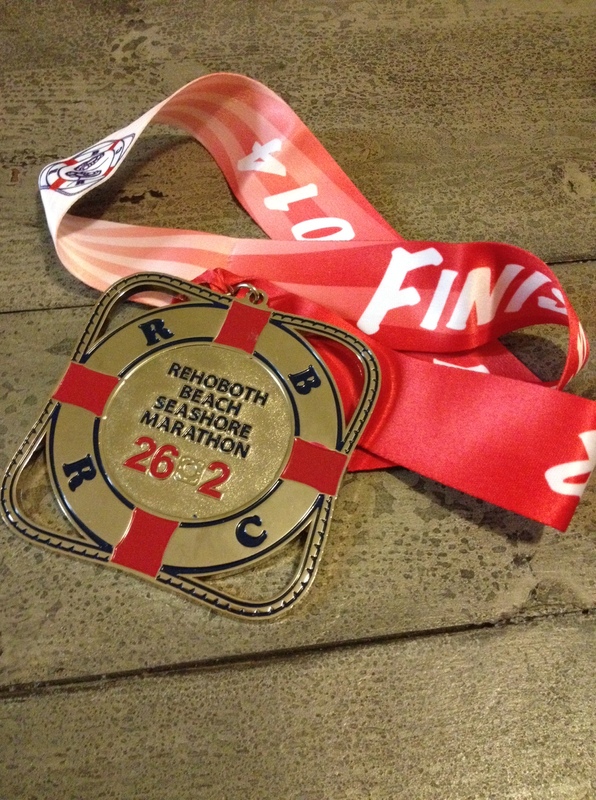 If you’re not already planning out your 2015 race schedule, here’s a reason to: for 12 hours on New Year’s Eve, you’ll be able to get a steep discount on the Rehoboth Beach Seashore Marathon and Half Marathon. I signed up last New Year’s Eve and took advantage of this deal to run the Rehoboth Beach Seashore Marathon this year for $65, plus the convenience fee for registering online. This year’s 12-hour-discount costs will be $65 for the marathon and $50 for the half marathon. To get the deal, register for the race from noon to 11:59 p.m. Eastern Time on New Year’s Eve, Dec. 31, 2014, the race website states. The registration link will be on the race website, according to one of the race directors, Mary Beth Hanna Evans. By signing up in that time window, you’ll save $15 off the registration cost of the marathon or half marathon, the race website states. I would recommend logging on earlier in the day to make sure you don’t have any issues — don’t get on your computer at 11:59 p.m. Through March 14, the regular cost is $80 for the marathon and $65 for the half marathon, according to the race website registration page. So with the discount, it will be $65 for the marathon and $50 for the half marathon. Starting on March 15, the cost will continue to go up in different increments. Like I mentioned in the last post about another deeply discounted race, this race benefits charity. But I know that runners, like me, are likely looking for the most affordable option so that we can do many races. The race is scheduled to begin at 7 a.m. Saturday, Dec. 5, 2015. While I am thinking about doing a different fall marathon this year, I will very likely sign up for the half marathon. Read about my experience at the marathon this year.